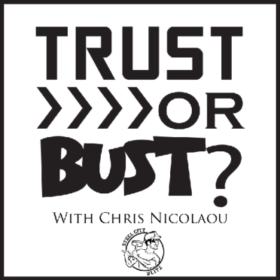 Trust or Bust is my brand new Fantasy Football segment. It is designed to give advice on who to play and who to keep on your bench for this week’s slate of games. This is a general piece of advice and it is not a definite figure. Everybody’s league and team is different and must be treated as such. Sometimes a ‘bust’ must be played because you have no other choice, or maybe you have a hunch. My best advice is to trust your gut. 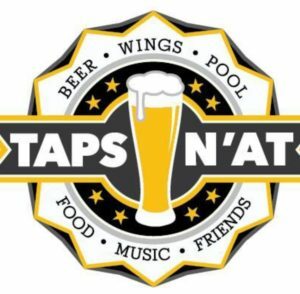 If there are any names not mentioned here, please contact me at @Cnic__ on twitter, I will be happy to give you personal, one-on-one advice as i do for many others. Also, if you have questions or disagreements about my placement of players unto either label, use the same method to contact me. I am human, most of the time, so I may have forgotten players; let me know if I have as well! This should be a good game with tons of fantasy players to trust. Both defenses are weak against the others’ strengths. Tom Brady – The Buccaneers are 30th in the NFL against opposing quarterbacks, Brady should shred this defense for his best performance thus far. You weren’t going to bench him anyhow. Chris Hogan – Brady’s favorite receiver thus far it seems. The Buccaneers defense is dead last against wide receivers. Start Hogan. Brandin Cooks – Brady’s deep threat and the highest ceiling of the wide receiverss. Remember, Tampa Bay is dead last against WRs. Rob Gronkowski – Gronk is dealing with a thigh injury which needs monitored on this short week. He’s only a bust if he’s not active. Mike Gilislee – Only a flex option. My reason for this is that there are so many Patriot running backs and it is tough to know who to trust in a certain game. Gilislee is the goal line back, so he has value. Jameis Winston – The Patriots are dead last in the NFL against opposing quarterbacks. Start Winston as they will likely be playing down most of the game. Mike Evans – Evans should have a monster game against a Patriots defense who is 30th in the NFL against WRs, giving up an average of 25.3 points to the position. Cameron Brate – Brate has hauled in a touchdown the past two games and that should continue on Thursday. New England is 28th in the NFL against tight ends. Danny Amendola – Seems to be the outcast but can be moved to the “Trust” section if Gronk doesn’t play. Patriots D/ST – You shouldn’t own this horrid defense, but if you do, keep them benched. Doug Martin/Jacquizz Rodgers – This is a risky game to start a Buccaneer running back. Who do you trust, Doug Martin on a short week, or Rodgers with Martin back? It’s tough sledding to know how much each player will be used. I would avoid this week, especially with Tampa Bay most likely playing from behind. DeSean Jackson – Jackson has a great match-up but his volume isn’t great. Hard to trust him. He is a WR3. BYE week filler seems to be his role this week. Buccaneers D/ST – Playing the Bucs D/ST against Brady and his high powered offense is never a good idea. SteelCityBlitz.com and Chris Nicolaou are not responsible for the let down of advice taken. Fantasy Football is a game of many variables and not all decisions could possibly be predicted accurately. If you take advice and it helps you, we will indeed enjoy taking all the credit. 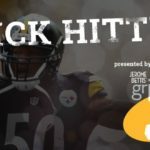 Week 4 Fantasy Football: Trust or Bust?